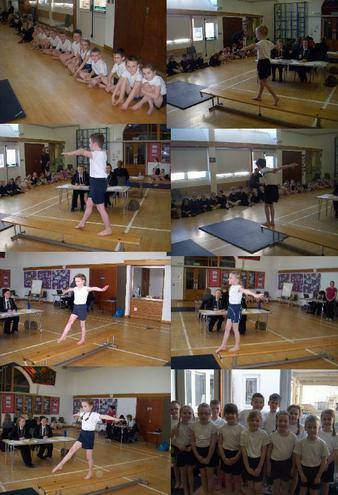 On Tuesday, two teams of 6 Year 2 children took part in a gymnastics competition against 13 other local Primary School teams. They all did extremely well and came 1st and 5th overall. The winning team will take part in the finals in a few weeks time.